Constructed of sturdy acrylic plastic, this unique table will be a one of a kind accent in your home. 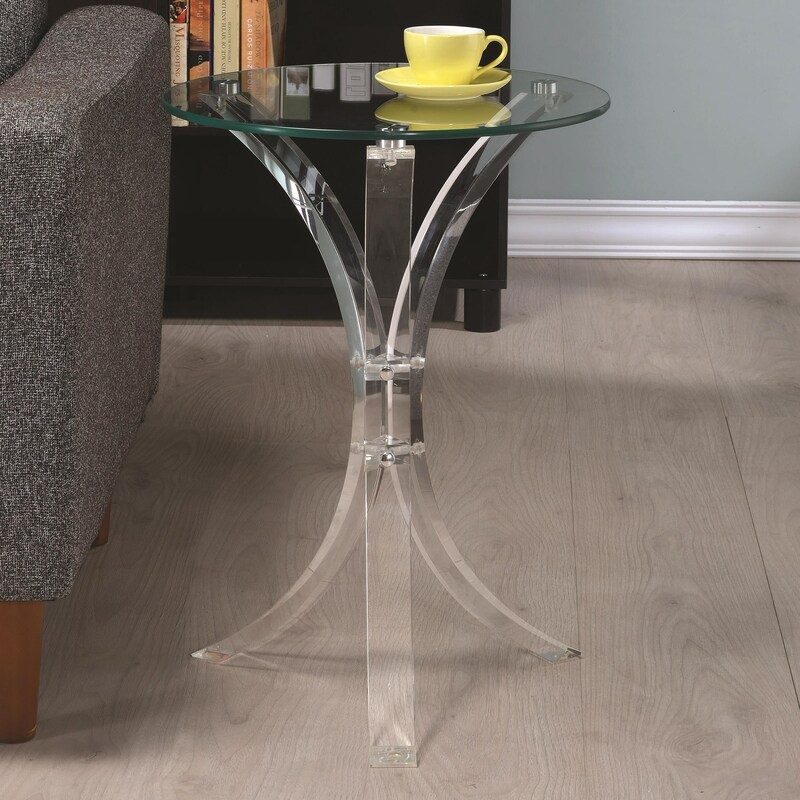 The tempered glass top of the table is round and is accented by the four legs that converge to form a single pedestal. The Accent Tables Contemporary Accent Table by Rooms Collection Two at Rooms Furniture in the Houston, Sugar Land, Katy, Missouri City, Texas area. Product availability may vary. Contact us for the most current availability on this product.